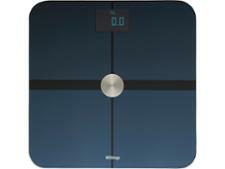 Tanita Bathroom Scales Buyer's Guide - Which? Tanita prides itself on innovation in bathroom scales – but are its body fat analysers actually any good? Japanese firm Tanita takes responsibility for developing the world’s first bathroom scale plus body fat monitor for use at home in 1994. Alongside bathroom scales, it also makes a range of other products, such as kitchen scales and pedometers. In the bathroom scales world, Tanita focuses on developing body fat analysers. It also offers a handful of standard digital scales, but you’ll be hard pushed to find more traditional mechanical bathroom scales under the Tanita brand. 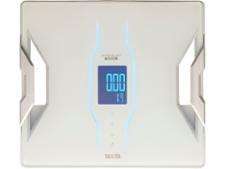 Read on for more on Tanita scales, or click to jump straight to our full reviews of body fat analyser bathroom scales. Body fat scales do more than your typical mechanical or digital bathroom scales – they measure your body fat percentage to help you differentiate between fat loss and weight loss. They also often give you other readings, such as body water percentage and muscle mass. Tanita's body fat analyser scales aren't the cheapest around. It’s possible to find more basic Tanita body fat analysers for around £30, but you can spend more than £100. We've tested and rated three Tanita body fat scales, priced between around £40 and £150 - read below and click through to the individual reviews to find out whether one of them could be the best bathroom scales for you. We've tested three Tanita scales, priced between around £40 and £140. Tanita BC-730 Body Composition Monitor, £40. Also on test is the Tanita BC-730 Body Composition Monitor, a more modestly-priced set of Tanita bathroom scales. However, they still offer a wide range of readings - including body-fat percentage, visceral fat, muscle mass, bone mass, BMR and metabolic age. These scales are also designed to automatically recognise up to five different users as soon as they step on, providing you've created the user profiles. Find out whether we think these scales are a worthwhile addition to your bathroom floor by heading to our Tanita BC-730 Body Composition Monitor review. 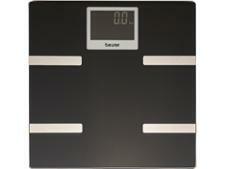 Tanita BC-545N Segmental Body Composition Monitor, £130. These scales are what's known as a 'segmental' body fat analyser. As well as providing a wide range of measurements, including body fat, body water percentage and visceral fat, it gives body fat and muscle mass readings for different parts of your body – the right and left arms, the right and left legs and the torso. For this reason, the pricey Tanita BC-545N is probably better suited to really committed exercisers rather than the more casual bathroom scales user. Find out if they're worth the investment in our full Tanita BC-545N Segmental Body Composition Monitor review. Tanita RD-901 Body Composition Monitor, £147. We’ve also tested the Tanita RD-901 Body Composition Monitor, another pricey model. It gives a lot of different body readings, such as body fat, basal metabolic rate and visceral fat, and you can connect it to an app on your smartphone where all your data is transmitted, with the aim of making it easier for you to track your progress. It also comes with claims of impeccable accuracy – our lab test review of the Tanita RD-901 Body Composition Monitor puts that claim to the test. We’ve also taken a look at the Tanita RD-953 Body Composition Scales, one of the newer Tanita models. It gives 11 different body measurements, such as body fat, basal metabolic rate, visceral fat and metabolic age, and you can connect it to an app on your smartphone where all your data is transmitted, with the aim of making it easier for you to track your progress. Read our first look review of the Tanita RD-953 to see what we made of it. *Prices correct as of April 2018.